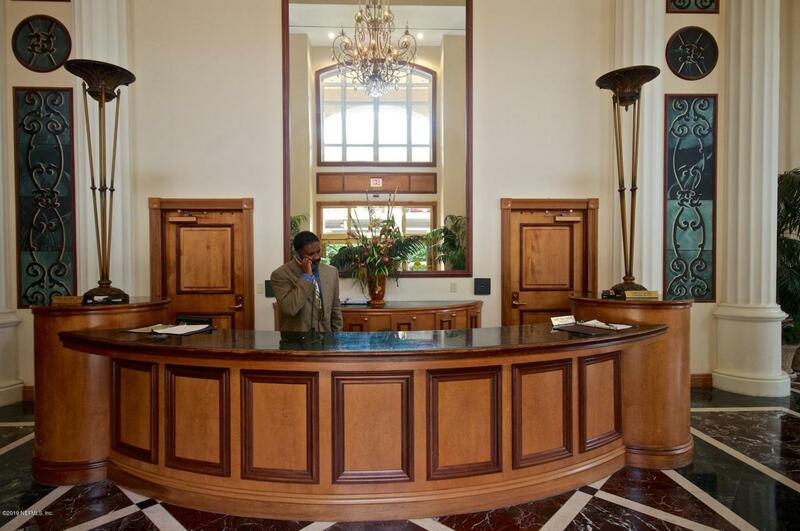 FULLY FURNISHED including linens, kitchenwares, flatscreen TVs, art & accoutrements. 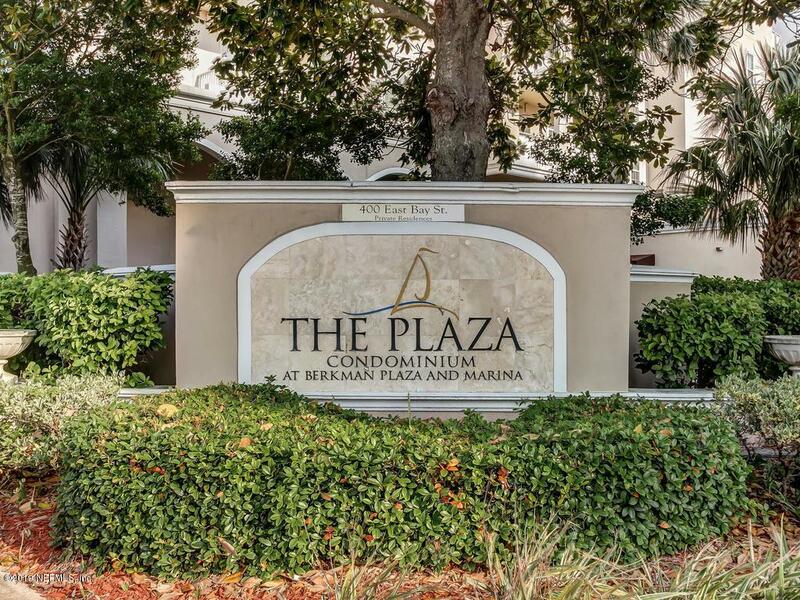 Wood floors, tile balcony, granite counters, new Stainless appliances, new carpet in bdrms, large walk-in closets; full-size W/D; cozy LR fireplace, and more!The Plaza Condos are on the River in downtown Jax, walking distance from the office core, restaurants, museums, TIAA Field & the Jaguars, the Baseball Grounds, and 5 concert & entertainment venues. 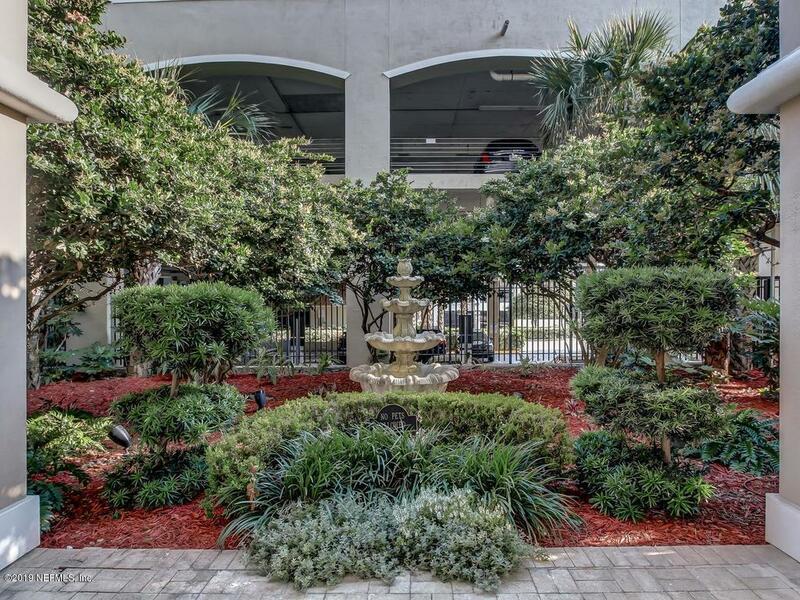 Building has gated entry and garage, 24/7 Concierge, tennis and squash courts, fitness ctr, pool, steam room, Swedish Sauna, Hot tub, business center, library and 21st flr Riverview Lounge. 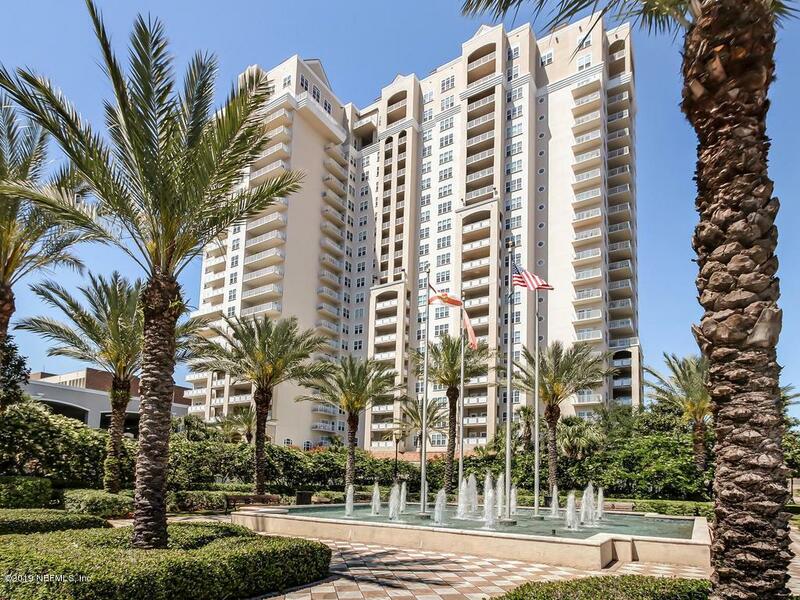 Slips available at adjacent marina.All condo fees, taxes, w&s, garage parking and DirecTV are included. Renter pays electric & internet.